'Why have you put on such a blank expressions, do you understand what I am saying? Oh! You are always lost in you thoughts, do listen to me'. If you frequently get to listen to such complaints you belong to this category of people. Many of you feel, what the other is speaking is of no importance; he/she has a habit of speaking, hence is speaking; you become careless about listening. You are too involved in various issues within you own mind to pay attention, and your issues are more important than any other conversation. Of course excessive stress and strain, frustration or worry too leads to exhibition of such behaviour. At that point paying attention is an energy consuming experience, and you would rather sort out your own thoughts, or continue with your own activity. It took a rude shock for Kirit to realize his errors. The signs had been there for long. His children barely spoke to him and preferred the company of their mother. Telephone conversations with his parents were few and rare and all dialogues with his wife were restricted to monosyllables. Out of the blue his wife, who was vacationing with her parents, sent him a divorce notice. He ran helter-skelter to Amma and Bhagavan for help. 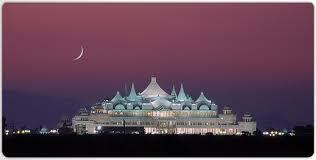 In the course of a Samskara Suddi, Bhagavan put him through the shoes of all his near and dear ones. Being a reputed scientist, he barely spoke to anybody and was continually lost in his own thoughts. He considered any conversation other that ones that stimulated him intellectually to be beneath him. As he experienced the pain and agony of his wife and children, he changed. 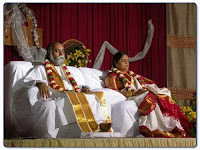 With the Grace of Amma and Bhagavan, his wife returned to him. Today he is an attentive husband and a loving father. 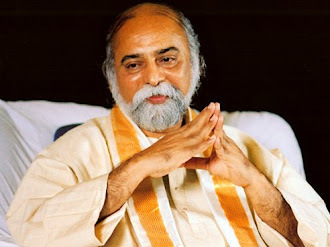 His wife is indebted to Bhagavan.